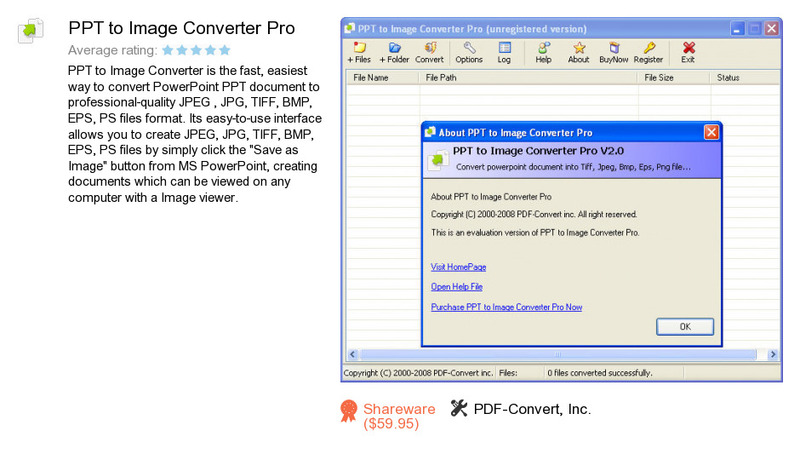 PPT to Image Converter Pro is a software program developed by PDF-Convert, Inc.. We know of version 2.0. Version 2.0 is downloadable at our site. PPT to Image Converter Pro distributive has a size of 3,344,566 bytes. PDF-Convert, Inc. also publishes DOC to Image Converter Pro and Word to PDF Converter Pro.